Cheers is it actually for my dad as well, that site doesn't seem to list JLC though. Just click into the ‘watch brands’ bit rather than looking at the dropdown. Worth giving them a call, they’re pretty honest. If they don’t think they can help, I’m sure they’ll suggest somewhere for you. Give them a call before you fly so you get a feel for what they have. 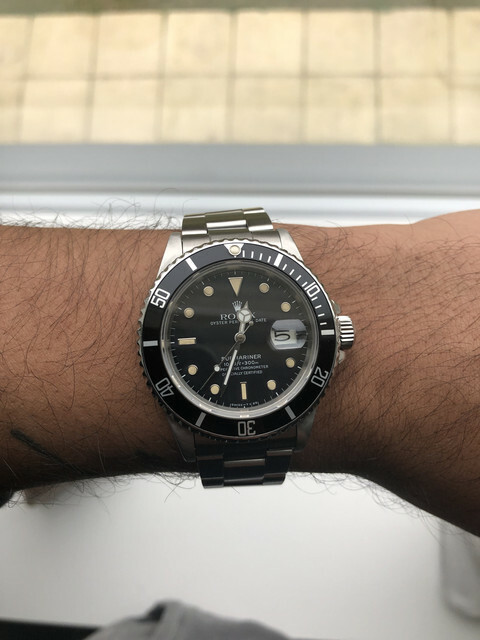 Finally pulled the trigger and got a birth year sub. Nice piece man. Lugs on the new subs are trash. Was down hatton garden saturday, didnt know they also did watches down there. luckily no, was with a mate who was looking…. Already looking into the tritium hands mate, finding them for a decent price is difficult though! If I can sell my luminova ones after replacing them then it won’t be too bad I guess. Thinking of selling my 2012 Rolex Explorer 2 (216570). Got the box and papers etc. Not been serviced since I bought it but been meaning to do it. Is it worth doing it for 500quid plus or shall I just sell it as is?